Home featured Did Google Shamelessly Copy iPhone X Gesture Controls for Android P? Many Android users love to hate iPhones. Yet, despite that, the makers of Android sure seem like they keep borrowing iPhone features for the operating system. First, it was the notch. 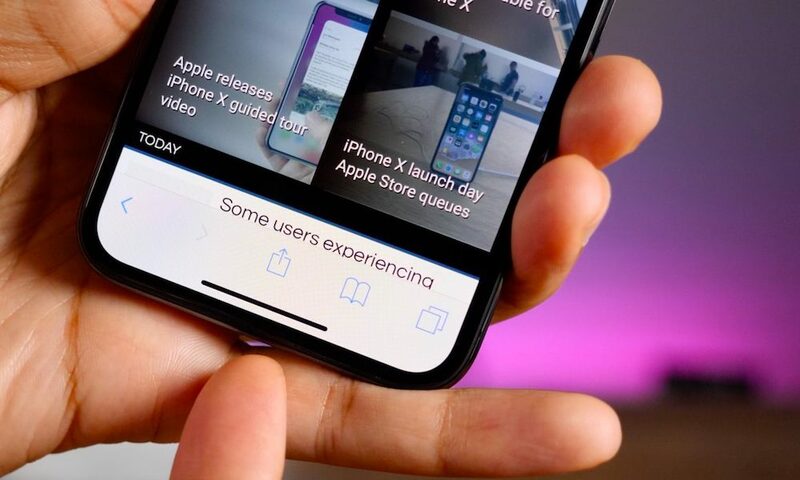 After a wave of iPhone X copycats, Google announced that it was baking notch support into Android P. But now, the upcoming mobile OS seems to have stolen another key feature of the iPhone: gesture-based navigation. Google announced the new UI controls at its I/O developer’s conference. It’s impossible to deny how similar Android P’s navigation controls are to the iPhone X’s. While Burke said the firm worked on the gestures for “more than a year,” that’s a rather vague timeline. The iPhone X was announced in September 2017 — roughly nine months ago now. Since Android first launched, it’s always had a signature three-button system at the bottom of its platform: a multitasking button, a home button and a back button. The upcoming Android P upends that. Android users will swipe up on this bar to access the multitasking pane with recent and open apps. Another swipe up will access the app drawer with app suggestions. But you can also swipe left or right on this bar-shaped home button to switch or “scrub through” between apps that are currently open. That is strikingly familiar to how the iPhone X’s home bar works. One might call it a pretty shameless copy of Apple’s idea. Inspiration in design is fine. To be fair, there were platforms — like webOS — that had similar gesture-based controls before the iPhone X. But, like the notch, the headphone jack, and other design decisions, Apple’s devices are undoubtedly the ones that actually shift the industry toward certain directions. And while it’s important to recognize blatant copying, it’s hard to criticize Google for “borrowing” what’s turned out to be a great idea. The iPhone X’s gesture controls are easy, intuitive and have been well-received since the handset’s launch. With more and more OEMs killing off their bezels and buttons and goes “all-screen,” it’s not a stretch to say that gesture navigation might become the new UI standard for smartphones. That’s probably a good thing, and especially so as companies like Apple and Google continue to innovate new and better ways for consumers to interact with their devices.